Creative agencies are only as good as what they achieve today. We’ve been around for over 20 years, creating strategic campaigns, understanding the digital need and survived recessions. History is important, but what we do today matters most. We are here to help you and your projects with advertising, design, PR, crisis communication or a mixture of them all! We’d love to hear from you. As Founder and President of Kirk Group Media, Colleen has retained public relations clients in the beauty, entertainment, pro sports, and lifestyle brands for over two decades. Colleen leads the communication strategy for individual talent and brands, helping each client achieve their big picture. Her passion and dedication combined with expertise in traditional and modern media has grown the agency into an international public relations and brand strategy firm. After launching her agency in Los Angeles, Colleen partnered with Atelier Creative Services in New York, a leading agency representing luxury brands in fashion, beauty, and accessories, before opening an agency office in Vancouver, B.C. 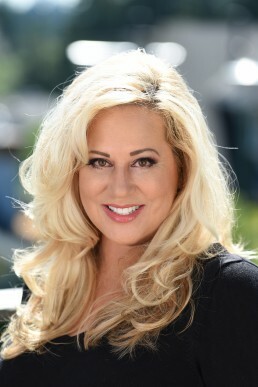 Colleen launched her career in beauty as a makeup artist and global brand ambassador where she realized her love of working in the entertainment industry forging ground-breaking opportunities for cosmetic brands in television, feature films and music projects, including The Billboard Music Awards, the Grammys, The Miss Universe Pageant, The People’s Choice Awards, and The Golden Globes. After collaborating with some of the largest cosmetic brands in the world, including Estée Lauder, Kao Sofina, Lancôme, Neutrogena, Colleen spent a decade traveling for Artistry, with an average of 200+ days a year across 42 countries. From Paris to the Amazon and in whatever capacity she found herself, Colleen’s work has had a significant impact on her client’s brands as well as on the people she has met and the women she has influenced. Colleen currently divides her time between Los Angeles, New York and Vancouver, BC., where she resides with her husband James, a production designer for film and television and daughter Bella. Creative whirlwind, passionate environmental activist, and razor-focused event producer, Jennifer has worked with Kirk Group Media for over ten years. She first met Colleen while working as a line producer on a beauty infomercial, featuring Colleen as their international brand ambassador. After working together again on a major fashion, music, art gala, the two clicked, and Colleen officially opened a PR agency in Vancouver. Since then, Jennifer has executed marketing events around the world, including Los Angeles, Paris, New York, Bologna, Montreal and Toronto. Some of her proudest achievements include pulling off a major movie premiere after-party in a tiny town in BC’s Okanagan, dressing Steve Nash for the red carpet at TIFF and helping a designer execute her first show at New York Fashion Week. 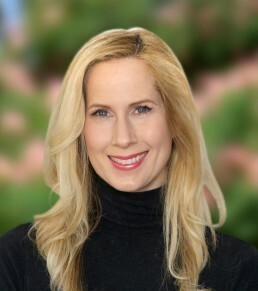 Jennifer attended BCIT for Public Relations, and holds a Bachelor’s degree at the University of British Columbia in Political Science and English. She pursued her dream of working in fashion with a graduate job in fashion buying and merchandising at Arcadia Group Ltd, in London, England. She also wrote the curriculum and taught Fashion PR at Blanche MacDonald Institute for a few years, before retiring to start a family. After a series of moves to very unglamorous locations around BC thanks to her husband’s career in resources, she can be found happily carpooling her two young kids around West Vancouver in her electric vehicle and pottering in her cottage garden. An avid social media user, Josephine pairs her European flair with exceptional work ethic and creative design. Through her BCIT Business Degree, Josephine has created business plans for a diverse range of companies, demanding careful analysis of industry trends, external environmental factors, and competitors. She has worked with Kirk Group Media since 2017, helping clients achieve their optimal Digital Marketing Strategy. Josephine’s primary goal is to represent Kirk Group Media’s clients’ online platforms in their true voice and authentic brand. 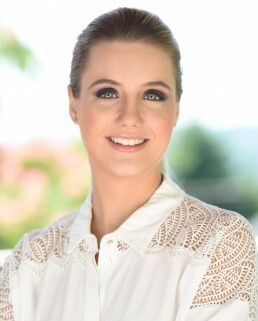 Josephine is fluent in French, having grown up in the South of France and studied in Paris during her business degree. As a student at BCIT, Josephine founded the “Young Women in Business” BCIT Chapter, with the aim of fostering synergy by providing network creation and professional development events. When she isn’t actively thinking of the next best strategy, Josephine can be found on the mountain either skiing or running.